Owing to the presence of our expert team members, we are able to offer a wide range of 3.5mm Stereo Audio Converter. 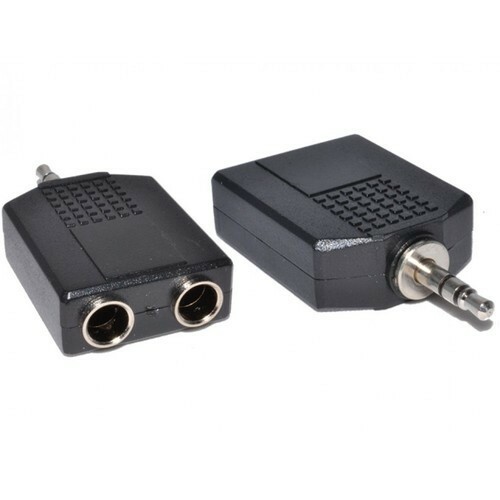 DOMO nSpeed C35T265 is a 3.5mm male to two 6.5 / 6.35mm female stereo audio converter. Premium quality nickel plated plug and socket connector resists corrosion and ensures minimal signal loss. The engraved 360 degree threaded grip helps easy plugging and unplugging. This compact and lightweight audio converter is easy to carry and store. The DOMO nSpeed C35T265 audio converter has excellent electrical conductivity which ensures hi-quality lossless audio is delivered.